and Reflective of Being a Human"
for "Frederick’s Song (Freedom)" based on the life and teachings of abolitionist and civil rights pioneer Frederick Douglass and couldn’t have been more excited. It is all about tolerance and fighting for the cultural, political, financial and social freedoms for everyone, but ironically, we became the victims of the very persecution we were fighting against. Questioning our heritage, we were called everything from “not black enough” to “whitewashed” - were likened to “Rachel Dolezal” and being “Uncle Tom’s” - despite the fact that 2 of us are half black, and all of us are bi-racial. Even more ironic is the fact that FD himself is thought to have been the son of a white slave owner and a black slave, and in fact, his second marriage later in life was to a white woman. But the outpouring of love and support for us, our work, and the disdain for these ignorant comments was truly overwhelming. In all truthfulness, the controversy helped us educate and spread our message even further; it is about uniting, not dividing - give each other the freedom to be who we are. We were actually able to change the opinions of some people who were once preaching hateful comments and find common ground. We would love for you to watch, listen and share our song, delve deeper with The Idea's essay below and let us know what you think. Because as Frederick said, “I would unite with anybody to do right and with nobody to do wrong”. Peace, love, unity and respect. 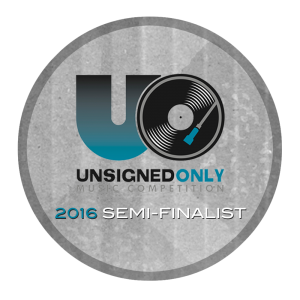 We are so proud to announce that "Frederick's Song (Freedom)" was selected as a semi-finalist, out of THOUSANDS of submissions, for Unsigned Only's 2016 national songwriting competition! Every generation needs to be acquainted with our country’s hard fought struggle for our freedom. Dedicated men and women through history, who perhaps did not see eye to eye on very much, have been united in their belief and admiration of our founding ideals of freedom for all. So much has been lost; so much has been gained in the struggle to ensure that the dream in the Declaration of Independence reaches all Americans not just selected groups. Ours is a history of heroics and hypocrisy, brutality and mercy. There is no better teacher, role model, warrior to advance this dream than America’s greatest freedom fighter Frederick Douglass. The love of freedom, admiration of Douglass and shared commitment to freedom is what brought these unlikely collaborators to make this song. This song’s mission is an attempt to excite people to take the time to understand FD and his incredible story. A life of brutal slavery, escape, fugitive, and a self-taught leader of the abolitionist movement, warrior for women rights, universal education and much more. Unyielding adherence to the truth, despite the danger; He came to understand, that that all of our freedoms depend on each of our freedoms. That freedom is not granted – it never was and never will be, it must be fought for in a relentless struggle against those who seek control of others to advance their agendas. The careful listener, will hear in his own words, Douglass’s sadness and anger at a monstrous system of slavery, where slave owners provided alcohol to their slaves during little down time so they would not think about escape and freedom. He explained why the slave owners worked to keep the slaves from learning to read – threatening the death penalty for such teachers. The progression of the choruses reflects the evolution of his life and thinking. 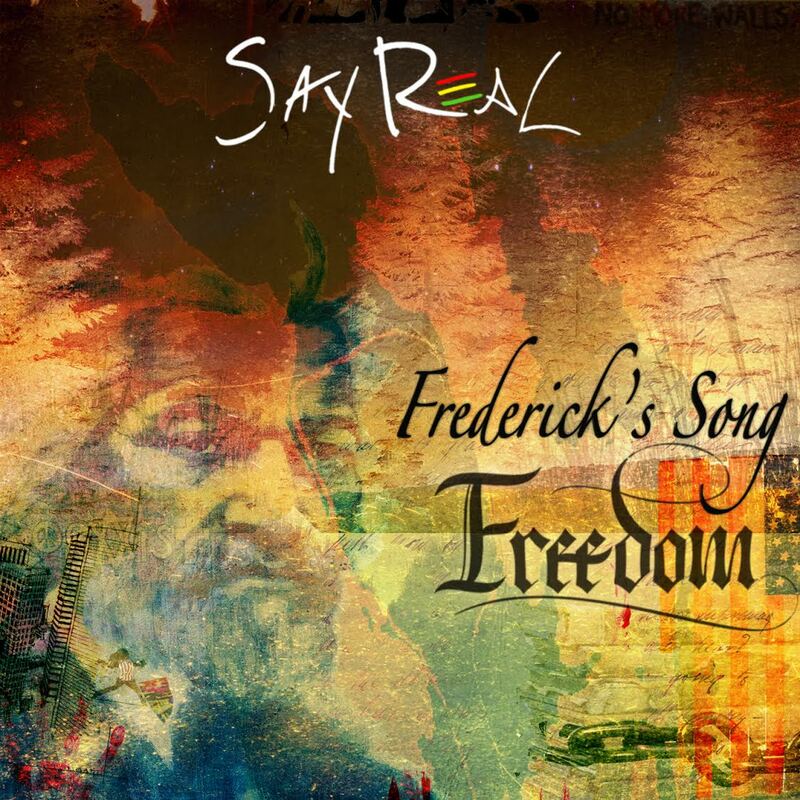 SayReal’s artistic interpretation is only an introduction to the power and passion of Douglass. Ultimately, this song, at its essence, captures the powerful message that Douglass championed: That none of us are truly free if all of us are not free. SayReal – the young talented band converting FD’s words to lyrics, and music and video – with their artistic interpretation. A band whose character and works reflects FD’s message of the universality of freedom. “The Idea” – a lifelong freedom advocate and admirer of FD. An old time educator exploring new ways to reach the next generation with the wisdom and experience of past generations. I really love this song as well as the others I've heard by SayReal. They did an amazing job on this song, so much so that I shared it with several friends and family now. Many of my family and friends are bi-racial, and equality and the want for freedom from oppression of any kind is a huge thing for us. This song really reached out and touched many of us and we will continue to share it and the message it brings. This is the appropriate blog for anyone who wants to learn about this matter. You realize so much its almost difficult to argue with you (not that I really would need… HaHa). You undoubtedly set a brand new spin on a topic thats been written about for years. Amazing stuff, simply fantastic! I 'm frequently to blogging and i really appreciate your content. The post has really peaks my interest. I 'm going to bookmark your site and keep checking for new info. So inspiring to read that the desire of such generation is that of Bob Marley. I am a strong believer and my faith and desire is that of our Father who sent His Son to die for us. Ti love, to give and to treat others meaning anyone the way you want to be treated. The judgements and criticisms of those only show you are doing something right. Big up to you and keep up the good work. "Great Blogpost! Thanks for sharing your info. I really appreciate your efforts and I will_ be waiting for your further write ups thank you once again." I don't normally comment but I gotta state thankyou for the post on this perfect one : D.
I would like to thnkx for the efforts you've put in writing this site. Your write up is a great example of it. Thank you a bunch for sharing this with all folks you really understand what you're speaking about! Thanks for finally writing about >Regarding Freedom | SayReal <Liked it! Wow that was strange. I just wrote an very long comment but after I clicked submit my comment didn't appear. Grrrr... well I'm not writing all that over again. Anyway, just wanted to say fantastic blog! Thank you for publishing this informative article. I've been reading for a while however I've never actually left a comment. I've bookmarked your site and shared this on Facebook. Many thanks again for a great post! and get two free songs!